Picking through the ‘rock room’ shelves today I have pulled a number of dusty Kinks seven inches for rotation and review. Positively the most underrated of the major 1960s British rock bands, the Kinks catalog continues to reveal inspiring melodies, revolutionary lyrics and clandestine musical magic often packaged in musical snapshots of normal British life. 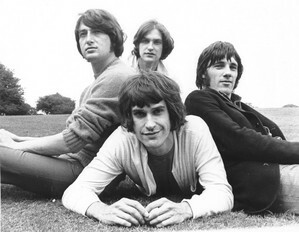 Unfortunately, the Kinks’ deep wealth of compositional genius was often missed even when served on the veritable silver platter of a single vinyl release. They always remained respected by their contemporaries but their triumphs were often obscured by the ignorance of critical analysis. 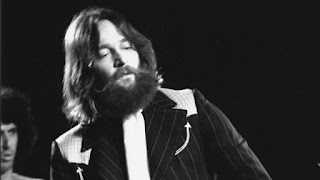 Here are five such overlooked U.S./UK Kinks cuts, taken from single releases, all of which should be recognized as ‘klassics’ from the Kinks songbook. ‘SLEEPWALKER,’ (1977): Only Ray Davies could take such creepy stalker content and package it into a bounding syncopated musical bundle. It’s a shame that this song, the title track off of 1977’s Sleepwalker is not recognized as a classic — excepting ardent followers of the Kinks. The song barely slipped into the U.S. Top 50, before quickly before disappearing into the shadows. The crisp funky drum introduction, anything but sleepy, is quickly blanketed by orchestrated Kink guitars and perfectly popping and contrasting Ray Davies vocals. ‘WONDERBOY,’ (1968): Soaked with the aesthetic of the Kinks’ contemporaneous Village Green Preservation Society, “Wonderboy” was apparently lauded by John Lennon — but yet still missed by the listening public at large. The song spins like a psychedelic music-hall show tune, containing airy “la-la” backing vocals, jack-in-the-box piano and harpsichord coloring. Davies’ wry vocal approach underlies the positive lyrical directive and breezy overlapping melodies. Definitely a song of its time, the tune retains its attractiveness and influence even after 40-plus years. ‘[WISH I COULD FLY LIKE] SUPERMAN,’ (1979): This disco-era single soars in on splashy drums, thick skyscraper bass and the addictive mantra of Dave Davies’ rhythmic and muted guitar trills. 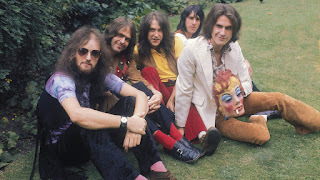 An attempt to stay relevant in the messy musical climate of the late 1970s, the Kinks were successful, using a then-contemporary approach that combined distorted guitars with a pulsing mirror-ball groove. Davies’ lyrical content in the song is, as always, a unique glimpse into the psyche of a man wishing to be. The song tugged the public’s cape briefly, but made only a brief appearance in the U.S. charts ...only to be found on the dusty shelves of record collections and cut out bins. ‘MONEY TALKS,’ (1974): Gritty, fuzzy and inflated with fat horns, “Money Talks” is a swinging, bubbly tonic, especially for listeners starved for straight rock with no chaser. Tucked away on Preservation Act 2, one of the Kinks most criticized albums of the 1970s, “Money Talks” cashed out early with barely a search of the pockets by the public. Still, irresistible Davies bothers harmonies are intermingled with female backing vocalists in a bombastic and assertive diatribe about the evils and troubles associated with cash. ‘BETTER THINGS,’ (1981): A song that once again enjoyed only moderate success on both sides of the Atlantic, this remains an anthem of endless possibility and hopefulness. Much later, “Better Things” gain belated recognition when unearthed by Ray Davies and Bruce Springsteen for the 2012 tribute album to Davies, See My Friends. The original version begins with a percussive piano, then expands into a motion-picture soundtrack of positivity and glory, a trait sorely missing from current rock compositions. Davies’ vocals quake and shake, the hopefulness of the song stained with the emotion of loss that often accompanies the best wishes for a long time friend. The tracks above are just a small example of the depth and strength of the Kinks Katalog. While not always hitting the charts with a splash the quality of the music being released by the band never wavered. I hope you enjoy a few of the cuts that bobbed just below the surface but are no less than some of the bands biggest hits.